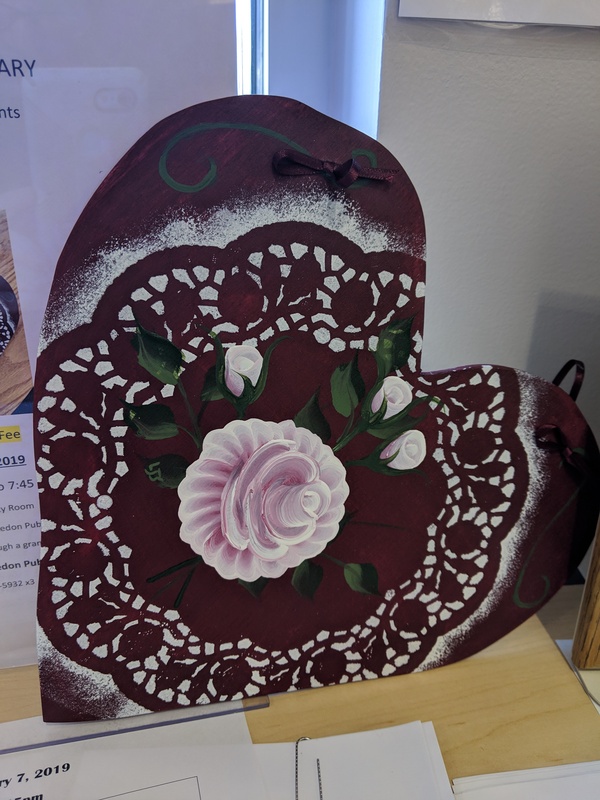 In the spirit of Valentine’s Day, this month’s Crafty Capers features a lovely hand-crafted heart with delicate painted lace and a beautiful rose, fit for hanging or giving as a gift to your own valentine. Linda Selbert will show you how to do it, and we’ll supply all the materials needed. There is an $8.00 supply fee, and we ask you to register by adding your name to the sign-up sheet at the library or giving us a call at 315-986-5932 x3. This program is made possible by a grant from The Friends of the Macedon Public Library.